The heart of the system is the Capdrive controller. Up to 255 Captor terminal devices are powered, polled, buffered and decoded for reliable and instantaneous response to the terminals. A special waterproof cable is provided which combines the low voltage power and the shielded signal cable. Devices may be connected up to two kilometers from the controller. The Capdrive is controlled by a single dedicated workstation which runs the Mini Micro Connection Captor application code. This application code can talk to a variety of databases, including Qube, Oracle and SQL Server. Because it a single workstation, the licensing costs are for a single workstation which saves you money. 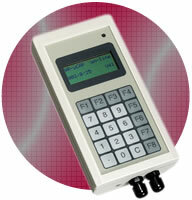 The Microcap is a low-cost terminal with a two line x sixteen character display, numeric keypad and 8 function keys. The terminal has a barcode connection for a wand, scanner or slotreader, one external digital input (100 Hz. ), an acoustic beeper, a LED and built-in timers and counters. For Wet or oily environments, the Microcap IP is available. Electrically similar to the standard Microcap, the IP has a protected keypad and a four line x sixteen character display. Each device connects cleanly via a special connection box which has an appropriate connector for the device it is supporting for easy installation and replacement, and individual fuse and cable connections so that a single run can have as many drops off it as you wish. Because the device are powered by the same cable as the signal, and they are low voltage devices, no special wiring, or permits is required. Their light weight allows them to readily be mounted as close to the action as you like. The displays and keyboards are familiar to most workers that have pumped gas. Keeping things simple and close is the key to a successful shop floor implementation. 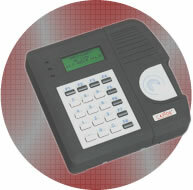 The Omni Cadet is a low-cost terminal with standard Captor on-line firmware. It has a numeric keyboard and 8 function keys, 4 x 16 LED display, 2 opto-isolated inputs, 2 relay outputs and 2 programmable leds. Up to two barcode devices can be connected. 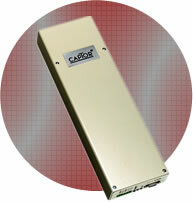 The Gateway is an interface device which provides a bidirectional link between Capnet and any serial peripheral. It has an address in the Capnet as any other Captor terminal. While using this unit, you can take advantage of the long distance capabilities of the Capnet to connect a serial device at a remote location. 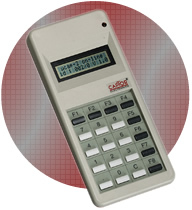 The Box I/O-32/8 functions like other Captor terminals, but does not have a keyboard or LCD display. 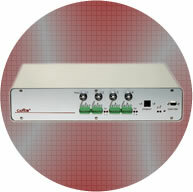 It offers 32 digital inputs and 8 outputs with comprehensive timing and counting functions. 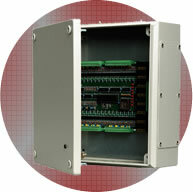 The electronics reside in a watertight steel plate enclosure with ample room for cable connections.